Representatives of JCC Association of North America discuss recent bomb threats with Attorney General. 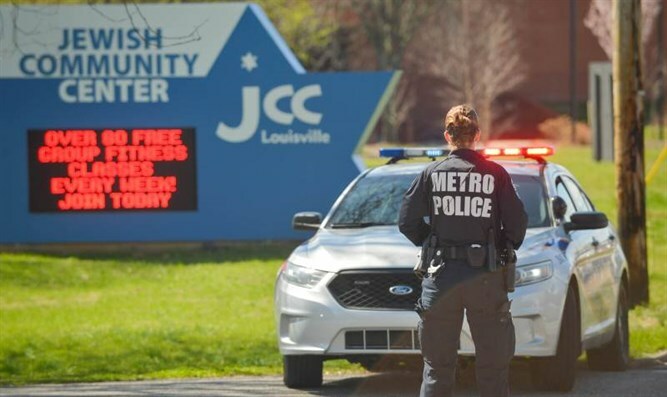 Representatives of the umbrella organization of Jewish community centers on Thursday discussed recent bomb threats against Jewish community centers with U.S. Attorney General Jeff Sessions, JTA reports. Officials from the JCC Association of North America met with Sessions a week after an Israeli teenager was arrested on charges of calling in over 100 bomb threats to JCCs and other American Jewish institutions. Ian Prior, a Justice Department spokesman, said the meeting was “positive and productive”, adding that Sessions had praised the Jewish leaders “for their responsiveness, efficiency, calm and competence” in dealing with the threats. “The Department of Justice will not tolerate hate crimes against Jewish communities or the targeting of any community in this country on the basis of their religious beliefs,” Prior said. Earlier this month, executives from 141 Jewish community centers sent a letter to Sessions in which they expressed their frustration with the efforts to combat the rash of bomb threats against the centers. The 19-year-old suspect in the bomb threats was arrested at his home in Ashkelon last week. The suspect allegedly used advanced technology and voice-altering equipment to anonymously call in bomb threats to over 100 JCCs, Jewish day schools and other Jewish institutions in the United States. Juan Thompson, a former journalist from St. Louis accused of making at least eight bomb threats against Jewish institutions, was also arrested on March 3. Thompson appeared in court on Wednesday, where he declined to seek bail and will likely remain in custody until his next hearing on April 10. The threats have continued even after the two arrests. A Jewish community center in Dallas, Texas, was evacuated due after a threatening call, hours after the arrest in Israel.